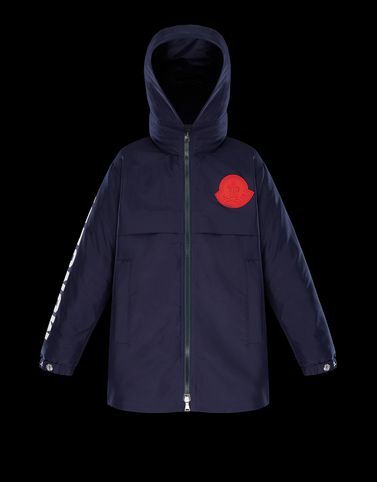 Clearly inspired by a parka from the adult collection, the Granduc is ready to become the favourite piece of the most demanding little boys. The oversized lettering on the sleeve accentuates the design while the quality of the fabrics and finishes is what Moncler has made us accustomed. Wash max 30°C - Mild process; Do not bleach; Do not tumble dry; Ironing maximum temperature 110°C - without steam; Do not dry clean; Professional wet cleaning - mild process; Dry flat; Wash separately; Do not iron decorations; It is advisable to wash and iron the garment on reverse.